IT students at Olivet University are building up their knowledge in security technology and unearthing cryptography technology. Students gained a detailed knowledge through topics learned from the 2013 winter courses, which included Cryptography and Botnet Phishing. 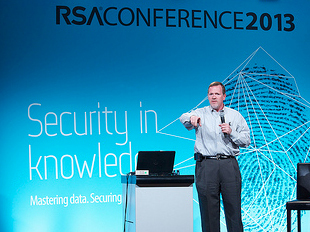 Resources were also provided through the tracks given by security professionals at the 2013 RSA Conference in San Francisco, CA. Research led students to explore and discover in leaks or loop holes within Internet technology. One project involved enhancing protection for smart card ID keys by experimenting with countermeasures for its cryptography. One student shared his experience, "I found Internet security is more and more important. The conference broaden my horizon and inspired me to learn more," said the OIT Masters student. Students also paid special attention to Cloud Security, Mobile Device Security, and Big Data Analytics. They also gained an insight into security related Law, policy and human elements, which play an important role in Internet security.